Mekong Tourism Forum (MTF) storytellers Simon Louvard and Lea Mellon will be based in Luang Prabang in the months leading up to Mekong Tourism Forum 2017 (MTF 2017), “Prosper with Purpose”, June 6-9. In this blog, the Hopineo ambassadors investigate Nahm Dong Park, a MTF 2017 Post Tour Experience. 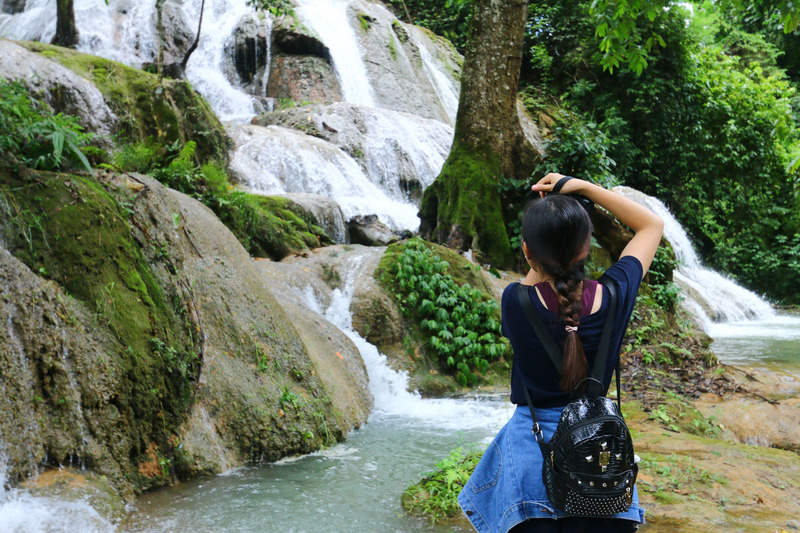 Only 10km away from Luang Prabang, Nahm Dong Park is a full of fun green activities for the entire family. The park offers watercress and/or rice field farming activities, lao fishing, trekking in nature and to the cave, biking, visiting the village, a cable bridge and tree house, zipline, fruit farm, spa, and a beautiful stream to bathe in during the wet season. The restaurant and café serve delicious organic food, refreshing never-tried-before flower & herbal drinks, and home-made snacks. Don’t miss this great opportunity to get back to nature!